Poor children stuck inside all day. Almost got backed into within the first block of driving, had to honk so as not to get hit. Watched a fully spandexed and carboned roadie cross on a red with full lanes of traffic trying to go. One car missed the giant "Wait Here" markings and drove over the tracks to stop, the other car just decided to park ON the tracks. Brilliance. Couldn't find parking so I drove for another 5 minutes and had to park 1/2 a mile away. Walked around and nearly tripped on the hose of a guy spraying the 3 leaves off his lawn (not driving related but really irks me, especially in drought-ridden Sacramento). Honked at a driver who decided to start his left turn after his light turned red (seriously, he was at a dead stop at the red light, then went). Got yelled at by guy I had honked at: "yeah, I saw it!" he screams. Geez. I don't know why people ever drive. At least on a bike I can burn off my grumpy energy. Luckily, my back started feeling better by late afternoon and instead of riding on my own to pick up our veggie box, I bribed the family to come with and make it a dinner trip. Jose rode the Mundo and I was on Mr. Mobic as he's more back-friendly than the kid-loaded Mundo. We stopped off at Trader Joe's for some ice cream sandwiches for the ride home and we all left as happy clams. Woo hoo! Freedom and ice cream! Check out Big Brother's new helmet. Such a cool biking family! Today was the big unveiling of the CUBE downtown. After weeks of speculation about what it could mean, we found out that this giant structure represents 1 metric cube of carbon dioxide gas. To put things into perspective, a family of four makes 40 of these per year. Ouch. Since Sacramento is part of the Cool California Challenge, 350 Sacramento, Greenwise, and other organizations in the city are encouraging it's citizens to try to reduce their impact on the environment, especially when they can log in their actions--energy bill and odometer readings--and get points for Sacramento (any Davis readers out there, totally ignore this...). We have been logging our numbers and so far have 2883 points (without our car mileage points). It makes reducing your energy and driving into a game. It is pretty amazing how the little changes can really add up. We signed up for an energy program and they sent us a little display that tells us how much energy we are using at any moment and the cost. It's pretty shocking to see the display go from $.003/hour to $.500 as soon as the dryer comes on. I'm glad we don't have an air conditioner, that would probably keep me from ever using it. Even the little things, plugging in our phones, when the refrigerator coming on, the bathroom fan, microwave, etc. We see every change in usage and cost and it keeps us aware and responsible of our actions. I do think twice about starting the dryer for a load I could hang outside. I make the conscious decision to use this energy, knowing the cost, not taking it for granted or assuming it is there for my disposal. Biking with the kids is one of our obvious changes to working towards an eco-friendlier lifestyle. As 350 Sacramento says, find one thing you can do to make a difference and do it. Maybe you can bike to work a little more often, take your own shopping bags to the store, carry a reusable bottle instead of buying plastic. You don't have to swear off warm showers but maybe you can buy your veggies at the local farmer's market. You don't have to sell your car (that's crazy talk) but maybe you can find an alternative mode of transportation for most trips under 2 miles. Giant cube and little Mundo. Little changes add up! Some of the things we do have not only benefitted the environment, but also helpfully, our wallet. We decided to do cloth diapers when Big Brother was born and continue to use them for Little Brother. We still occasionally use disposables but in all, we will have spent less than $500 (a high estimate) for diapering both boys, a big saving from the average $5000 many parents will spend on two babies. We also shop at farmer's markets and get veggies from our local CSA (community supported agriculture). Our produce is healthier and more nutritious, not having sat out on the shelves for days/weeks and we are directly supporting our local pesticide-free/organic family farmers. We choose not to eat meat on a regular basis, we get our eggs from our backyard, we bring shopping bags to stores, I nursed both boys so we wouldn't have to buy formula (besides the constant fear of regular recalls of toxic/tainted formulas), we also removed the front lawn and planted native flowers. Nothing we do has been incredibly difficult. I understand that they might not work out for everyone and I understand that there are other things we could be doing as well. My parents line dry about 99% of their laundry whereas I'm lucky if I even get the laundry folded within a 3 weeks. I plan on continuing to make the changes we are able to and as we are able to, I look forward to making greater changes. It always baffles me to see locks without bikes. How did this happen? Of course, our favorite change has been our biking. Yesterday, we biked to Effie Yeaw nature preserve. It was a great ride, about 12 miles each direction, at least half was along the American River Parkway. The last 3 miles was new to us, having never ridden to Effie Yeaw or even Carmichael. It was simple to navigate, Fair Oaks Blvd. was the biggest road we were on. It had a nice bike lane and low traffic but there was a section of construction that blocked the bike lane and a driving lane, putting us in the single lane that was left. We just waited until it was clear and rode the couple of blocks in the middle of the lane then zipped back in as soon as we could. There were some good hills towards the end but having had such mellow biking days during the weekend, it felt good to get my heart pumping. Effie Yeaw was fantastic as always and we met up with some other mamas and kids to play with. We saw turkeys, rabbits, dear, golfers. The ride home was into a headwind, Little Brother was fast asleep, and Big Brother and I were stopping regularly to eat chocolate. A good mix of delicious and difficult. Buddies practicing jumping over the "river." Snack stop on the way home. I love finding out new places I can get to by bike and I especially love finding ways to get to my favorite places by bike. Mostly, I just really like going places by bike. These are my reasons for doing the things I do to make a difference. Sometimes I worry that I haven't had enough adventures lately and unfortunately, I have no more to report. It was a quiet weekend. Nice to have after our recent excitement, in some ways. It is comforting to think that our biking is becoming such an everyday experience that it is almost too normal to write about. We had a fantastic Little Loop ride with our friends, the De Kok family, on their gorgeous orange Mundo. The girls are still getting used to their new ride but a treat like going to the zoo makes a bike trip a welcome adventure. It's great to watch a new cargo-biking family grow and enjoy their ride. Notice Erik's awesome Practical Cycle t-shirt! My crazy month is upon us. Thirty more students to place and only a few more weeks to do so. It will happen. It's what we do best but it would be nicer if we get these sweet students into their awesome host families sooner rather than later. If you're in the Sacramento area, contact me for program details. It's too much fun to miss out! Big Brother still tells me that he wants to grow up to be a Chinese boy, just like his big brothers in China. I love that my boys are growing up with an international world view and they just love that they get to meet and play with new friends every year. Heading over to our local Farmer's Market. The new ice cream bicycler, Rachel, of Pop Cycles stopped by the Farmer's Market while I was there tabeling. She didn't stay long as she was busy with an interview but got shooed off by the Farmer's Market organizer because she hadn't signed up to be a vendor. I didn't get a chance to talk with her or try her already famous ice cream. Next time. I'm sure she'll be getting around this summer. Later, the boys left with their papa to go to a birthday party and I was left behind to work. I have to admit, it was nice and quiet and productive. I did get a little fun this weekend meeting with friends to celebrate the impending arrival of a new baby girl. All this fun left me less motivated to ride my bike (as I got a ride with a friend instead). This evening, after the kiddos had returned and were on their way to bed, I finally got on my bike. I rode all the way to the chicken coop across the yard, picked up two fresh eggs and pedaled about 15 strokes to get back to the back of the house. Shortest bike ride ever. It was fantastic! I have some better plans for this week but it was nice to have a "normal" and easy weekend. Two of the photos taken for the Sacramento River Parkway Coalition to help take down these awful fences. On my way home today, Little Brother and I had a scary moment. Nothing terrible but one of those times that makes you realize how vulnerable you really are. Most of the time riding is fine. We take safer roads, use the bike trail whenever possible, and are vigilantly aware of our surroundings. Today, while biking to the path, we came up to a stop sign where there is a center divide and the road narrows. Starting to shift into the middle of the lane so crazy cars wouldn't squeeze us into the curb, the van behind me starts revving up her engine and not minding my handsignals, then guns past us. I yell out "HEY!!" and "Be careful!" but she never even acknowledges that we are there. What scared me more than the actual event was her total disregard for our safety. Did she even see us? She had to have heard me, but there was no mention, no sorry, no head turning, no slowing down, nothing. That's what scared me most. I am fully aware that biking is dangerous. Living is dangerous. Whether you are on a saddle, walking down the sidewalk, sitting in a car, or on the couch, there are inherent risks to everything. Your life can change or end in an instant. One of the fears that people have expressed about biking as a family is that your entire family could be wiped out an in instant (one even included a "just sayin'" to show their seriousness). Really? Because families never die in cars, airplanes, house fires? Do you really want to spend your entire life curled up in a teeny ball because something might kill you? Do you really want to stop and think about every little thing that could kill you? No! You're not going to stop swimming in pools, eating cesar salads, or bungee jumping, are you? Biking is actually relatively safe in most respects. It's the cars that cause the damage. If you want to keep your family safe while biking, teach the cars to drive safely and keep them accountable for their actions. I wish I could have gotten that lady's license plate and made a complaint. At least something to make her aware of the fear she caused. I was shaking for the next 2 miles; luckily by then I was on the bike trail and enjoying the car-free space. However, this post in not to freak you out. You have to realize that I bike a lot! In over 1500 miles in the last 3 months, this is the first time in a very long time I have gotten shaken up this much. It wasn't even because she was so close to me that it was dangerous; e weren't even in imminent danger. At least I was aware that she was doing something that was unsafe and I made adjustments for that and tried to let her know to do better in the future (so I'd like to think). You can't prevent everything in life but you can stay aware and alert because, unfortunately, there are others out there who are not. I often ponder what drivers are thinking at red lights, especially when I see them texting, fixing their hair/makeup, and eating a sandwich (often at the same time). Then, I think about what is going through my head: how much longer until my green so I can get through it before it turns red again, how close is that car coming across and will they stop or run the light, is the car in front of me really going straight or have they just forgotten their turn signal (because their hands are full of sandwich and lipstick), how quickly is the car coming up behind me and are they planning on stopping, am I in a low enough gear to get a quick start or will I have to put more force in my initial pedal strokes, is the glare preventing anyone from seeing me, how will I get around that garbage can in the bike lane without getting in the way of the cars in the lane, will the person in the parked car open their door suddenly? It's a lot to consider but not more than one should be considering at all times. Every car driver should also be a bike rider. They should know what it is like to be outside the box, know the feeling of a car passing you with such little space. Yes, I have a bike lane, no that doesn't mean you can still pass me within 6 inches. California just passed legislation requiring cars give 3' of space while passing a bike. It's amazing to me how many commenters complained about this. Is it really that difficult? if there is room, go. If not, wait. That simple! Bikers: be aware out there, you're vulnerable. Drivers: be more aware, you're dangerous. Thank you for reading! Keep me posted on your journey! This is truly a wonderful community to be a part of. I have since bounced back from last Saturday's heated rant. The last couple of days have been cool and calm. There is much to do for my exchange student group but it is falling together nicely. My rides have been mellow and my children have been perfect (totally biased). On Sunday, Kate and I held our first "New and Often Sacramento Kidical Mass." We had talked with Warren, another Sacramento Mundo buddy, who has been organizing the previous Kidical Mass events and thought that if we all worked together, we could extend these rides throughout Sacramento, expand our riders, and make them a regular occurrence. We decided on the third Sunday of each month and we'd take turns planning and setting up the routes. This one started at the Rocket Ship in Southside Park at 2pm, luckily it was not as hot as Saturday but it was pretty toasty. I was worried that no one would show up. Kate pulled up soon after on a different bike than her Mundo and kid-free, lucky her (although also necessary as this is only her second week after surgery)! Shortly after that, a new friend whom I had met the day before at the Farmer's Market, Jarod and his two daughters, rode in on their beater trike that Jarod had modified with seats, footrests, cushions and safety belts in the back for his girls. They were decked out with snack cups, an umbrella, and the coolest sunglasses I'd ever seen. Quite a sight! The trike was a used find from craigslist (as many of the best things are) and has served them well for the past couple of months as they got to know the area. However, they also have an infant son to soon add to the load and the trike is a bike more creaky and unstable than they'd like. Jarod was certainly checking out our set-up on the Mundo, even taking it out for a test ride. I think he's hooked! Next, Sol came riding by with his daughter in a WeeRide Kangeroo child seat. She was as happy as could be! Finally, John, of Cycle Trucks joined us and we were ready to ride! Since I hadn't known if there would be any kids riding on their own, our route stayed at about 2 miles max. We took a trip down T st. to the waterfront and then back up R st. to a frozen yogurt shop. The kids all got a cool treat and a nice ride. Total success, if I do say so myself! I'm already looking forward to the next! Mark your calendars and keep an eye on our Sacramento Kidical Mass Facebook page for upcoming details. Thank you all for joining us and braving the heat! Who needs a chair? I have a cargo bike! Big Brother and Papa get to test out the Cycle Truck together. Monday was an even simpler day. All I had planned was a visit to the Electric Bike Shop on J st. where there was a couple who had ridden electric bikes from New York were planning on stopping by and talking about their adventure. Unfortuantly, we never got a chance to talk with them. The news vans and reporters were there getting their clips and interviews. Then, another reporter or two had to talk. So, an hour and a half later, my boys were melting down too much and we had to leave. I was disappointed because I was curious about their loads and charging needs during the trip. The boys were happy because it meant we could then go to our favorite place--Artbeast! We parked our bikes next to another cargo bike--a Madsen! The only unfortuate part about ArtBeast is its lack of a bike rack. There is only one street sign close by (which the Madesen had stolen) and it takes crawling into a bush to get to. I just locked my bike on the sidewalk, not to anything because I figured my Mundo isn't really something someone can come by and throw into the back of their truck, it's pretty darn heavy. ArtBeast is nice about letting us use their locked side gate but with a bike the size of ours and with our milk crate on the side, it's not as easy to squeeze into tiny spaces. I really think that something as simple as a convinent bike rack in front could be the deciding factor as to whether a family rides there or not. If they see others riding in regularly, they could be inspired or just realize that it is safe enough to do. Midtown is very easy to ride around and has clear bike lanes on many streets, K st. included, where ArtBeast is located. That evening, my lovely hubby let me duck out of the house early and head down to the corner coffee shop and focus on some work. I was amazed at what I could do without the wee ones screaming in the background. That quick trip was taken on our new folder--Mr. Mobic. The only downside was that the Mobic doesn't have a rack yet and I had a heavy bag on my back. I was surprised at how much that affected my riding, even just that short amount. I am so used to being able to carry more than I could ever need on my Mundo that I hadn't really thought about needing to pare down for an "appropriate" load. Needless to say, it was an uncomfortable mile even though the Mobic is so easy to ride. I must be a bit spoiled by the Mundo's brute strength. We just couldn't compete with the news vans. Mundo and Madsen get to hang out while we play at ArtBeast! Nobody wants to steal this funny looking bike. Today, the boys and I rode down our usual route to the Train Museum where we were meeting friends. Along the way, I noticed a man crouching down on the other side of the road taking photos. It was a bit weird to me, I assumed he was getting some surveying done for the road or something but as we rode by I hear "clickclickclickclickclick." I must have shot him a weird look because as we passed by he yelled out "I'm with the Sac Bee!" Well, you have to stop for your adoring public, right? He ran across the street and asked us our names and what we were up to. He didn't know if we'd make it into the paper but he gave us a card. We haven't yet gotten a photo in the newspaper so that would be exciting. We did, however, notice a message up on Facebook a few hours later with a link to our photo on the Sac Bee website's "Day In Photos." Not too shabby! We'll see if we create the same feedback as Kate and her infamous "Tim Brown" debacle did. You'll remember that Mr. Brown decided that what Kate was doing (riding a bike designed to appropriately hold children and cargo) was against the law and felt it necessary to reprimand her and demand the immediate stop to such an unthinkable action. This was followed by a wonderful discussion regarding cyclist safety and misconceptions non-riders have of cyclists and their unfounded fears. I don't know if the link to our photo will be up after today so instead I took a screen shot. What's super funny is the tab is still up for where I looked up how to take a screen shot and all the ads for cars because I've been researching our car's value and how to dump the poor thing. Creepy, it's like a window into my soul. Cutest children ever at the Train Museum! Our final exciting adventure of the last few days was a bike ride out to the Pocket area of Sacramento to do a photo shoot for the Sacramento River Parkway in hopes that we can convince the local government to order the removal of horrible chain-link fences and razor wire that has been put up by homeowners along the levee. Not only is this irresponsible and compromises the levee's efficiency and area's safety in a flood or emergency, it also breaks up the beautiful path to ride down into the Pocket area. This could be another amazing resource for Sacramento cyclists, to keep them safe and to get people more comfortable riding more often. I had never even ridden there before. It was about a 10 mile ride down and we had to keep looking up the directions because the trail would disappear and leave us scrambling for safe roads. We were actually pretty lucky and stayed on streets with bike lanes. Coming back, we were able to stick on the trail for longer. It is an incredible difference from riding on the streets (even with bike lanes) to riding on a car-free path--the peacefulness, the safety, the scenery, the relaxation--this is how everyone should feel while cycling. If this levee path can be completed, we could be unstoppable--almost literally as they are hoping to connect it all the way to Martinez and from there, possibly even to Berkeley! It would even make a ton of sense for drivers as they wouldn't have to deal with as many of us "getting in their way." Beautiful route along the Sacramento River Parkway. Gravel road at the chain link fence determining "private lands." Late dinner at the Tower Cafe. We needed it! The famous Tower. Heading home after dinner and after dark. I really love night riding! Don't forget, Yuba is unveiling their newest creation--the Boda Boda! Check it out!!! You may have noticed that I haven't been keeping a tally of my mileage this month. I'm trying to steer away from a number being my goal and instead, focusing on the experiences I have. I am still recording the numbers on the home page so I can keep an idea of how much money and carbon we're saving, but besides that, we're just having fun and going about our "regular" routine. The mileage count is actually only my mileage, it isn't an entire family account as Jose logs quite a few miles on his own, commuting to work nearly every day by bike (his new favorite bike being Mr. Mobic). He also recently had his own first experience biking to Vallejo to take the ferry to his parent's house in the Bay Area. Unfortunately, he isn't as great about taking photos and logging his trips (which is why I'm in charge of our webpage and he isn't). Once again, he used the Central California Cycling's directions and found them to be both accurate and convenient. The only issue he faced was a section of construction on Highway 12. There was a concrete barrier up which forced him to ride in highway traffic without a shoulder. After a few knuckle-biting miles, he decided to jump the barrier and ride on the blocked shoulder. From there, he was quite happy. He arrived in Vallejo about 7 hours later only to be told that he had missed the last ferry to San Francisco. Funny, I had asked him about the ferry schedule before he left to which he replied "I"m not worried, there'll be plenty of boats." So, he didn't leave until after our Doughbots ride, about 11am. Now we know. Leave early and check the ferry schedule. Instead, while he was waiting for the 8pm bus, his folks decided to come pick him up and he happily got a ride the rest of the way. Overall, the ride was a success in that we learned we can now bike to the Bay Area (provided you check the ferry schedule and ride accordingly). The one photo Jose took. This is Highway 12. Thanks, Jose. The famous Google Bikes. Use 'em, leave 'em. My uncle, Todd Litman, a "transportation guru" and founder of the Victoria Transport Institute, from Victoria, Canada, came to visit last week, as well. He was coming to San Francisco to give a series of workshops about complete transportation planning. My mother (his sister) decided Sacramento also needed some help and got him to do a couple more workshops here. There was a more professionally geared presentation and then another for the general public. I went to the less technical version and was incredibly impressed. Learning about ways to get more people out of their cars and into walkably convenient cities really does take less work than everyone assumes. As Todd pointed out, we're living with the idea that driving is only form of transportation available and we should design our cities and roads with that in mind. However, the number of miles driven per capita actually peaked in the early 2000s and has since tapered off and even declined! Why then, do we still immediately address traffic concerns with plans to widen roades, create more parking spaces, and continually put cars' needs in front of pedestrians'? Upgrading public transportation has been proven to be the greatest return of investment for cities. Focusing on multi-modal transportation needs for everyone, not just drivers, improves the quality of life for all citizens. A few of the interesting points Uncle Todd made were how there are more traffic fatalities in sprawled cities than in population dense cities, homes in walkable neighborhoods hold their value better than those in the suburbs, and how many planners value "car storage (ie. parking lots/spaces)" over all else. I remembered thinking back to buying our house three years ago, we refused to look at places that we could not bike/walk to cover our basic needs--getting to work, getting our groceries, and getting to my parents' house. We didn't consciously think about getting a home that we would be able to stay in if/when we became infirm, impoverished, or non-drivers, but somehow, we managed to secure a place that does. And now, as we begin to take the steps to finally become car-free, I am eternally grateful that we did. My Uncle Todd has been car-free for over 10 years, stemming from a broken car that was never replaced. Since then, they have funded their children's higher education from their savings and have not had any problem getting around--between bikes, walking, and taxi credit cards, they have never missed having a car in their driveway. Todd rode the Linus around Sacramento with our rowdy gang. Checking our Edible Pedal's cargo convoy. This trailer designed by Cycle Truck's John. Todd still looking polished for his first workshop, even after biking around Sac. Jose taking the kiddos home so I could go to Todd's talk. Folding bikes unite! Hello, G'ampa! So, that leads me to some more knowledge we've recently acquired--we can become car-free! It's less of a hassle than we had originally thought, being bombarded with threats of "punishment payments" for returning a leased car early. However, a quick call to Toyota and getting the appropriate numbers, we soon learned that it is doable! We have a few options--pay off the end of the lease and return the car, buy the car and keep it for ourselves, or buy the car and sell it to someone else and be done! We chose the third option. We are going to find out how much we can sell the car for and once we buy it from the dealership outright, we will turn around and sell it off, losing less money than if we had just returned the car. Since we will then be saving our car payment and the insurance, gas, maintenance costs, we will quickly become better off than when we started. I couldn't be more thrilled and anxious to get rid of this hunk of metal that sits in front of our house for weeks at a time gathering dust. I think that once the car is gone, we'll have to throw a party, funded by our car-freedom. Now, I'd love to hear any questions/concerns you might have about going car-free, just to make sure I can answer them all...Ready, go! Not about bikes, but Big Brother got to touch an armadillo at his Little Ducklings zoo class. That's new. Our Mundo is in good company at the bike racks in front of Temple II coffee. Other than all this fun we're having, everything else is regular life. We bike, we work, we play, we eat. Sometimes we are afforded the luxury of sleep but with a 1-year old still sleeping in our bed, that's not as often as I'd like. 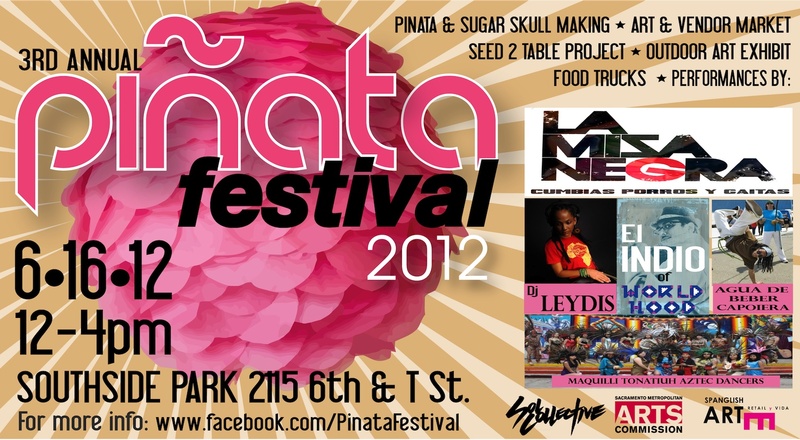 Tomorrow, the forecast shouts 106 degrees and I plan on being out at the Piñata Festival. Yikes. Hottest day of the year, so far, but a necessary evil of living in Sacramento. Good practice for biking in summer. I actually think that biking in winter is easier--you can always put on more layers...summer, not as simple...although, we'd get more attention, it would be too expensive and time consuming to apply that much sunblock. Seeking out shade on our rides. Hello, Ducks! To end this post, I will leave you with the best "new thing" this week--new Yuba Mundo-ers in Sacramento! Erik (you will remember him from our 4 minutes of fame on News 10 regarding the Cool California Challenge) and his family have decided to join the awesome ranks of cargo owners! I am so happy to have them around and looking forward to watching them become as Mundo-obsessed as I. Since they are starting more from scratch, having not been on bikes as regularly as we had when we started, they are moving slowly but surely, becoming more comfortable with having the kids onboard and riding in traffic--a very sensible thing to do! We have plans to ride together in the near future, maybe a spin-off of our Little Loops, and focus on kid-cargo biking practice. Besides the fantastic online support from fellow cargo bikers, I am quickly meeting many local friends. Today's Ikea ride was accompanied by John of Cycle Trucks. He showed us a quieter street to ride and passed along some local history. I am always grateful for the new knowledge I gain from riding with new people. John rode his original cycle truck, unfortunately, I didn't get a photo but it is almost identical to his recent build except he had one of the vendors at Cyclefest gussy it up with some awesome pin-striping. When we had finished our free breakfast, we walked out and were immediately met with a Cycle Truck admirer who asked John all sorts of questions about his bike and took down his information. Hopefully another Cycle Truck will be in the making soon! We also ran into another Cargo Friend, Seth, and his cute kiddos. They passed by while we were waiting at Practical Cycle for our ride to begin. I was hoping they were joining us, but sadly, they were just on their way to other errands. I did, however, get a chance to check out their rig up-close and loaded up. What a nice ride! They've had their dutch bike for about the same amount of time as I've had my Mundo, since March. Seth uses it for child transport as well as for his work as a sculptor. Both kids and papa were decked out in their safety vests, sunglasses, helmets, and had their stuffed friends along for the ride. They looked quite happy! We passed them again on our way home! What a small world and a fantastic benefit for being on a bike. As Stephen mentions on our FB page, if we had been in SUVs, we would have never met and made this connection. I'm looking forward to Seth and his family joining us on future rides and next time, allowing our kids to get off the bikes and run around together. Another fun find this weekend was Big Brother's garage sale score bike. I was tabling for our exchange student program at Elmhurst neighborhood's parent group garage sale. I carried my table and supplies over in the fierce wind. Unfortunately, I didn't sign up any host families but I had a great time chatting with the folks that came by, one fellow even asked how much my bike was going for. Sorry, not for sale! We did, however, pick up a 16" Specialized HotRock bike with training wheels in almost perfect condition for just $10! I loaded it up with everything else and surprised the big guy with it. He was thrilled and spent the next hour riding in a tiny circle in my parents' backyard. It's a bit big for him to learn how to ride without the training wheels but it was too amazing to pass up. Our bike fleet is growing uncontrollably! Working bike + garage sale finds = happiness! Pedaling along! Cargo rider in training. Another fun experience this weekend was the Cyclefest. Sadly, we couldn't stay long as the wee ones were melting down quickly. I did manage to capture this incredible teeny bike, which was one among many custom hot rod bikes. We talked with many bikers and checked out some amazing rides. I am just in awe of the creativity and craftsmanship these builders display. It was a great weekend! It is certainly getting hot which poses different difficulties. I am glad that the boys have their shades but I would like to get them water bottle holders to keep them hydrated on our rides. That will be our next project. Until then, you're left with my beautiful boy enjoying his ice cream. It has nothing to do with bikes but it should make you realize that you should join us for our next Ikea ride, July 9th at 9am (the second Monday of the month) we meet at Practical Cycle in Old Town. Ikea tradition, ice cream face!!! The mighty Mundo! Thanks, Kate, for these amazing photos! I'd never been on t.v. before! This morning, the boys and I were a part of a short news segment about the Cool California Challenge on News 10 in the Morning. We rode down to the station for our 8:45am call and found out that we wouldn't be on until 9:45am. We got to hang out with Erik DeKok, Maurice, Diamond, and 'Nama while the boys ran around like the crazy little guys they are. Kate came, too, to help document the adventure. When it was our turn to go into the studio, they had the boys in the bike with 'Nama by their side, plying them with food so they wouldn't scream (they were, thankfully, awesome!) and Erik and I were on the sofa chatting with Keba. Big Brother having some doubts about being in a "movie." Little Brother just wanted to eat. 'Nama on standby for any screaming children. Looking totally calm and collected...right? There were so many things I wish I had said afterwards! It was such a blur being up there, not very nerve-wracking, but it just went so quickly. I had expected to answer more questions about what we were doing but I ended up mostly just describing the Mundo--they were in total awe over this monster of a bike. Sadly, I don't think I had even mentioned the bike by name! Luckily, Kate pointed out that it was plastered all over the news so she's pretty sure it was clear enough. I had wanted to mention our Kidical Mass rides and the website, too. It was a great learning experience and totally fun. Our two minutes of fame! After the program, we met up with my folks at Insight Coffee nearby. While we were there, more interested people came by to chat about the bike (and Little Brother who was passed out, as always). I met one of my recent Tiny Helmets Facebook page "likes" and then John of Cycle Trucks rode up, surprisingly. He joined us at our table and we got a chance to talk more about his bikes and cargo cycling. I even got to test out his newest creation that we was making for a friend. His bikes are made with recycled components to make them very reasonably priced. This one was approximately $800, as opposed to the $2000-$3000 range you usually see for bakfiets type bikes. I am looking forward to learning more about his bikes and trailers and going on more cargo bike rides together. Big and Little Brothers unwinding after their moments of fame. Very different steering, it actually took me a bit to make the thing go straight but once I got it down, it was really fun. Such a fun day today! To top it off, I had met a fellow Yuba rider this morning on my way to the studio. Peter has a v.1 Mundo he bought used and was on his way back home after dropping off his daughter. It's always so great to meet other cargo bikers and nice to see that even after many years, the Mundo keeps on trucking!